Watch this video training right now if you want to get more time back, save money, and finally get your marketing DONE FOR YOU! Discover How A Simple 3min Tip Video Can Be Re-purposed To Get ALL Of Your Weekly Content Marketing “Done For You” Using My Simple 5-Step Marketing/Selling System. Please enter your information in the form below to sign up for this free training. 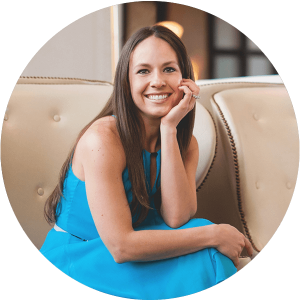 Join this 90-min “behind the scenes” training with efficiency expert Amber Vilhauer… and learn the authentic 5 step done-for-you marketing system that’s the future of online marketing. …solved the age-old problem of how to get YOU more time to focus on the important money-making activities in your business that only YOU can do as CEO. You did an AMAZING job on this training. It was SO good! What a shining example you are to all of us working to develop our online businesses. You are the real deal online business and marketing mentor. Hands down! Join me ... and finally discover how to market consistently and effectively (done-for-you)! Bottom line, if you are SICK and TIRED of . . .
…then you will get a TON out of this fast-paced training today. Take advantage of the 10 years I’ve spent working with online business owners that led me to develop this 5-step marketing process which will allow you to get massive exposure on all major online channels, in a FRACTION of the time others are spending.